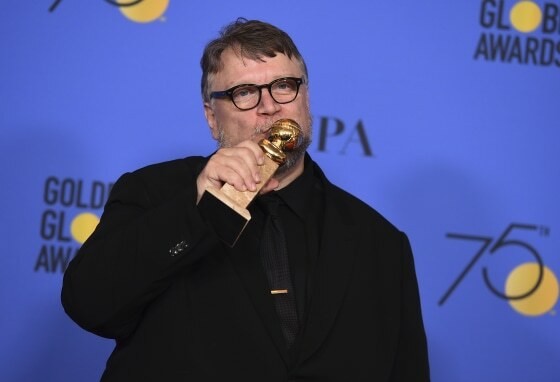 Despite all the nominations and winning PGA‘s Best Picture, Guillermo del Toro’s The Shape of Water appears to be an outside chance for the Oscars Best Picture, with many tipping one of the Golden Globes Best Motion Picture winners, Three Billboards Outside Ebbing, Missouri to take out the trophy. The only other film with a running chance is the other Golden Globes Best Picture winner, Lady Bird. The remaining six Best Picture nominees are Call Me by Your Name, Darkest Hour, Dunkirk, Get Out, Phantom Thread and The Post. Of those films, only Darkest Hour and Phantom Thread did not receive nominations in the Best Motion Picture category at the Golden Globes. All five SAG nominees for Outstanding Performance by a Male Actor (Leading Role) were nominated for Best Lead Actor. The nominees for the Oscar are Timothee Chalemet, Daniel Day-Lewis, Daniel Kaluuya, Gary Oldman and Denzel Washington. The favourite for the Oscar is Darkest Hour‘s Gary Oldman after he won both the Golden Globe and SAG in recent weeks. Four of the five of the SAG nominees for Outstanding Performance by a Female Actor (Leading Role) carried over into the Oscar nominations. Sally Hawkins, Frances McDormand, Margot Robbie and Saoirse Ronan were all nominated, with SAG nominee Judi Dench missing out in favour of Meryl Streep. Three Billboards Outside Ebbing, Missouri‘s Frances McDormand appears to be the frontrunner after winning the SAG and Golden Globes awards however an upset could be on the cards as Saoirse Ronan also won a Golden Globe for her lead performance in Lady Bird. The Best Supporting Actor category again reflected the SAG nominations, with Willem Dafoe, Woody Harrelson, Richard Jenkins and Sam Rockwell all receiving nominations for both awards. The only change to the SAG nomination list is the inclusion of Christopher Plummer over Steve Carell. Despite being nominated at the Golden Globes, many have questioned Plummer’s nomination as a PR move after Plummer was cast to replace Kevin Spacey in All the Money in the World following sexual allegations against Spacey. The frontrunner for Best Supporting Actor appears to be Three Billboards Outside Ebbing, Missouri‘s Sam Rockwell after he won both the SAG and Golden Globe. in either the SAG or Golden Globes awards. She will go out against Mary J. Blige, Laurie Metcalf, Octavia Spence and frontrunner, I, Tonya‘s Allison Janney. Janney won both the SAG and Golden Globe. The Best Director category honoured storytellers, with all five nominees also having screenwriting credits. First time directors Greta Gerwig and Jordan Peele were nominated alongside veteran director Paul Thomas Anderson, despite all three not being previously nominated at the Golden Globes. The only two Golden Globes nominees are Guillermo del Toro and Christopher Nolan. Del Toro went on to win the Golden Globes and is now favourite to take home the Oscar.